A 50-lap main event is on the ticket. The race winner of tonight’s race will hit the road with a check for $12,000. This race was originally scheduled for March. Due to the rain it has been rescheduled for tonight. 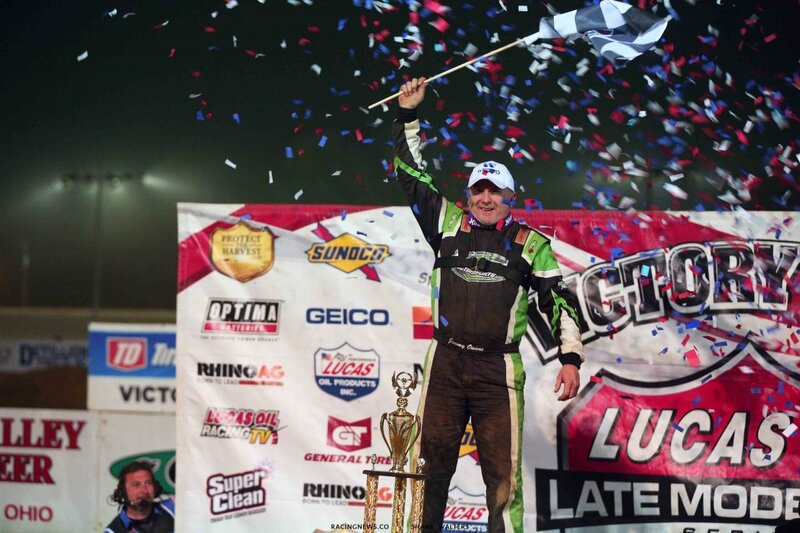 Scott Bloomquist is the defending race winner. However, he will not be in attendance tonight. He was injured in a motorcycle crash back in March. He will remain on the side lines indefinitely. Kyle Bronson and RJ Conley set the front row for the first race of the night. Green, Bronson gets the jump, he leads into turn number one on the bottom. 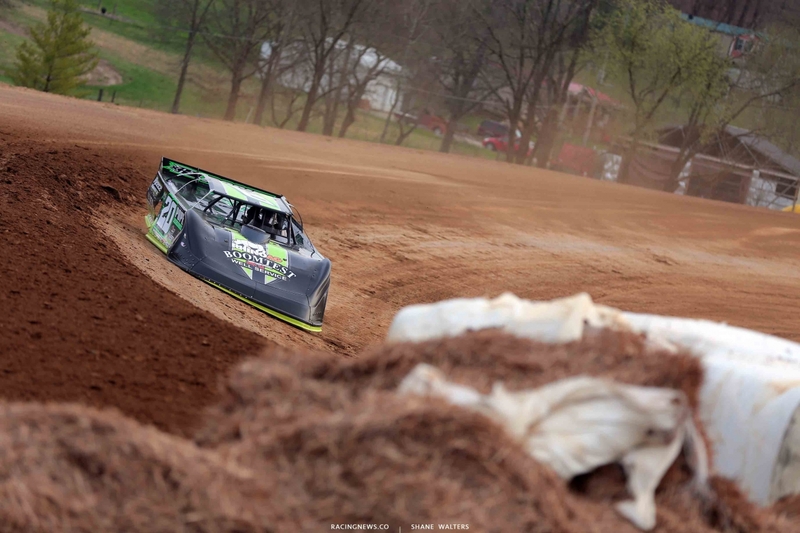 Boggs runs wide off turn two. 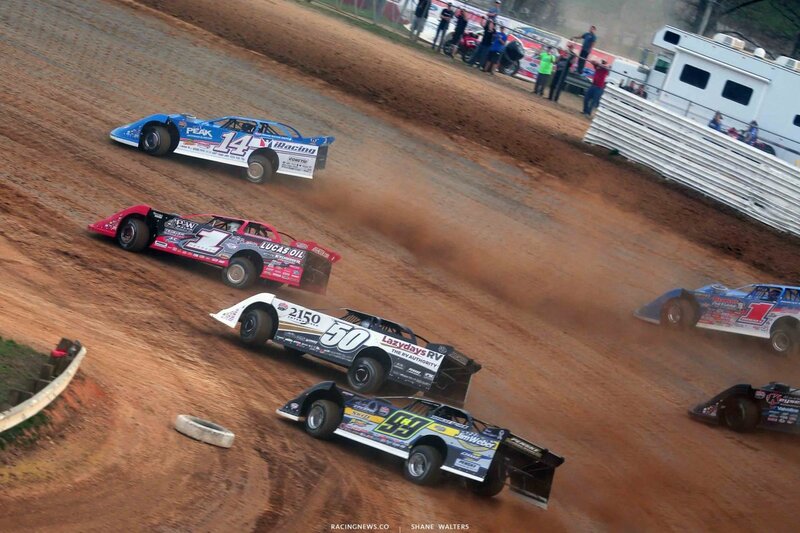 Conley slides Bronson in turn four. Bronson crosses him off the corner. Conley slides him again. Tyler Erb is moving to the front as they dice. Erb is clear of Conley on the bottom off turn four. Erb heads for the middle in turn one. Conley goes to the bottom, slides across his nose abd retakes the lead. RJ Conley drives to win heat one. Jimmy Owens and Don O’Neal lead them to the starting line in heat two. Green, Owens gets the jump. 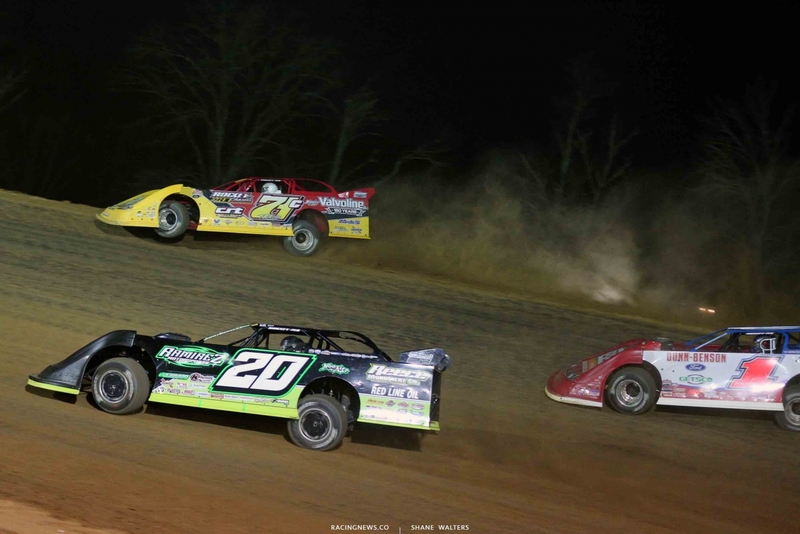 Don O’Neal and Billy Moyer Jr battle for 2nd. Colten Burdette is flying through the field on the bottom. He started on the 2nd to last row, he’s now in a battle for 2nd. Lap 6, Burdette runs three wide into turn one. 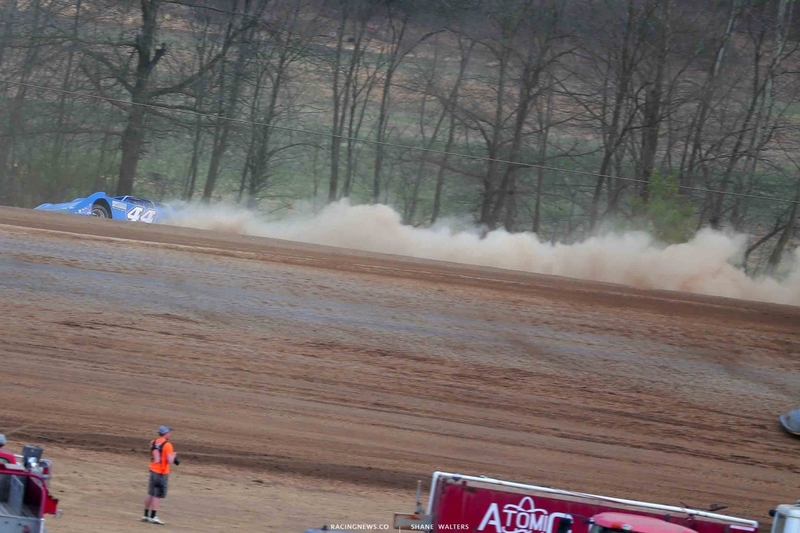 He jumps the cushion in turn two. Brunette is off the track. The caution is out and he’ll go to the back. Green, Owens gets the jump. O’Neal can’t run him down. Owens takes the win in the backup car. Josh Richards and Brandon Sheppard trial the pace truck in heat three. Green, Richards bicycles through a rut in turn one. Sheppard is coming with high side momentum off the corner. Richards holds the lead. 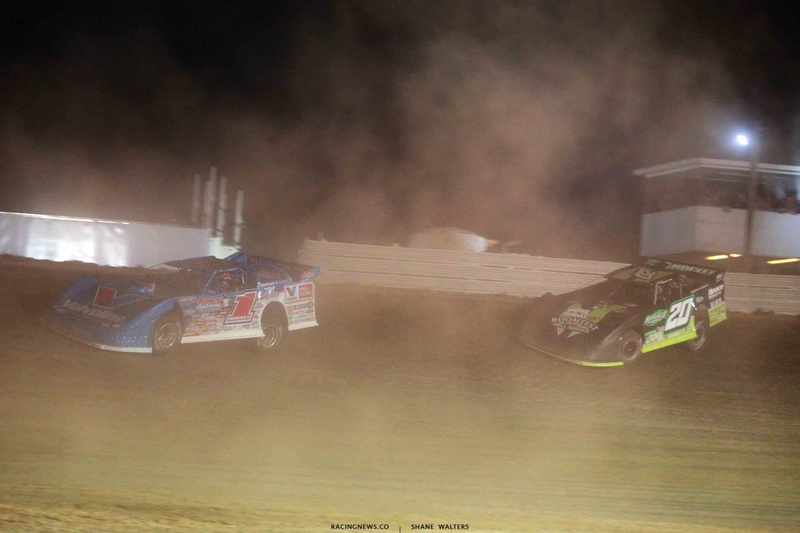 Jonathan Henry and Shanon Buckingham fight for space in turn three. They both continue. Richards drives away to take the win in heat three. Devin Moran and Jonathan Davenport lead them to the start in the final heat race of the night. 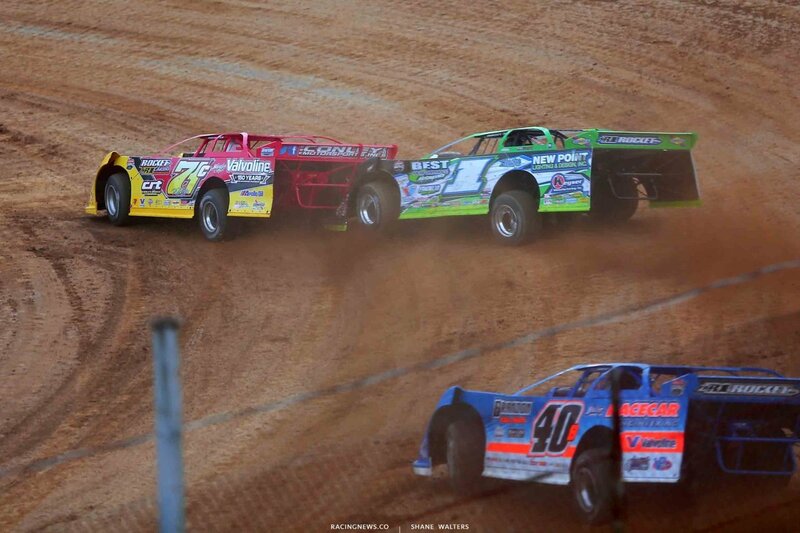 Green, Hudson O’Neal comes from row two to pull even with Moran into turn one. Moran leads off turn two. Spin at the back, caution. Green, Moran leads. O’Neal heads to the top, he moves to 2nd. Lap 4, Moran moves to the top. O’Neal has lost clean air. Davenport slides him for 2nd. Devin Moran takes the win in the final heat race of the night. $12,000 is up for grabs tonight at Atomic Speedway. 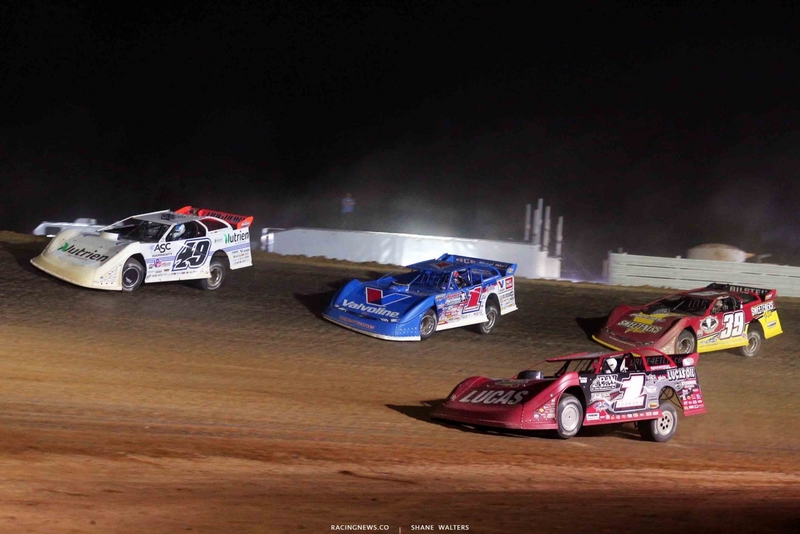 They line up in a four wide salute for a packed house at the Ohio dirt track. The 50-lap main event is up next! RJ Conley and Josh Richards lead the field to the starting stand. Green flag, Conley leads by two car lengths into turn one. Conley runs wide off turn two! Owens to the lead! Lap 8, Burdette started at the tail after winning the B Main. He’s up to 11th already. Owens is deep in lap traffic. He works the very bottom of the track and anywhere he can find a hole. Sheppard works around Erb to take over 2nd. Lap 19, Don O’Neal is slow in turn three. The caution is out. 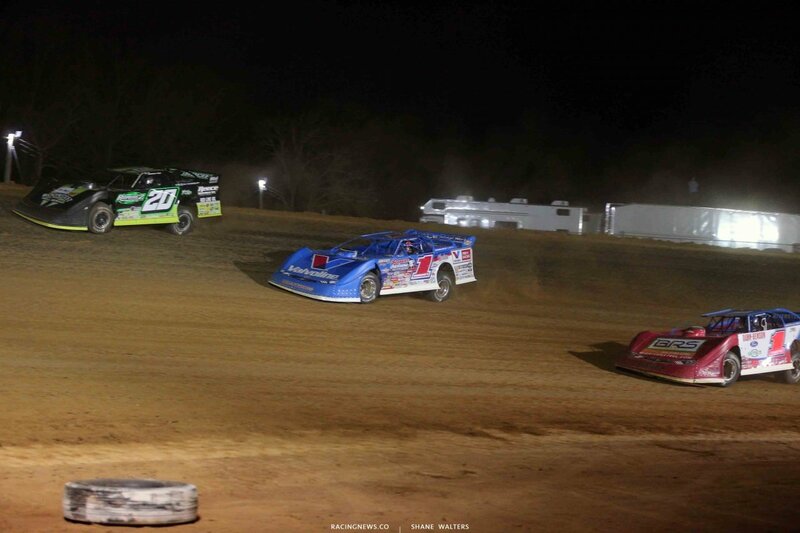 Green, Owens, Erb and Sheppard run three wide for the lead into turn one. Owens wins the battle off turn two. Lsp 22, Josh Richards is in the wall heading into turn one. He comes to a stop and the caution is back out. Green, Owens on the top, Sheppard through the middle and Moran works the bottom. Owens leads off turn two. Burdette continues to climb from the back. He’s cracked the top five. Lap 27, Billy Moyer Jr has a flat. The caution is back out. Sheppard is hanging with him this time. Sheppard slides him has the had back into turn one. Owens crosses him off turn two and retake’s the lead in turn three. Kyle Bronson is slow off turn two. The caution is back out. Green, Davenport slides Sheppard in turn one. That stacks them up behind Owens as he opens the gap. Sheppard is back to 2nd. Davenport holds 3rd and McCreadie runs 4th. 10 to go, the top lane has taken rubber. Everyone moves to the top as they skip across the ruts. Lap traffic will be an issue. Owens has caught the tail. And just as he does the caution is back out on lap 43 as Jameson loops it in turn three. Green, Owens leads by two car lengths into turn one. He’s opening the gap. Owens takes the win at Atomic Speedway! View full 2019 Atomic Speedway results from Chillicothe, Ohio below.